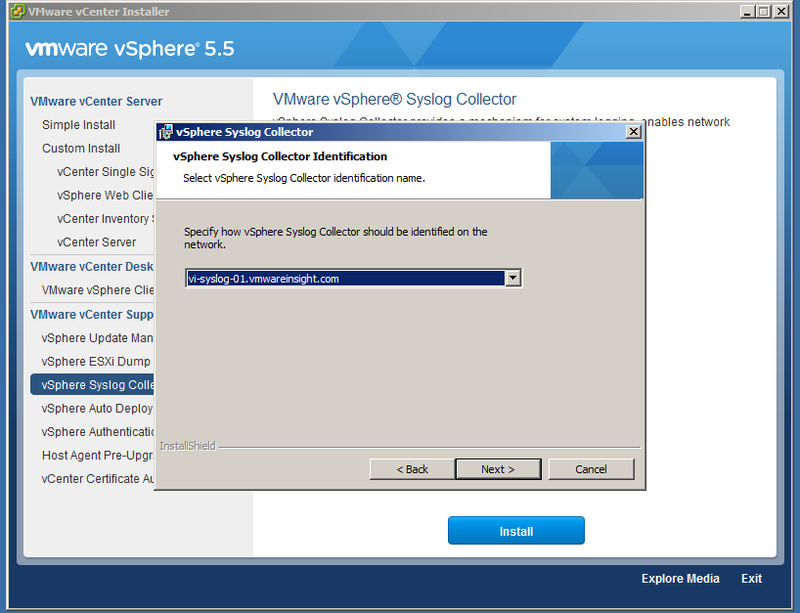 Install vSphere Syslog Collector Server to store ESXi Logs to a centralized server on the network rather than on each host datastore. 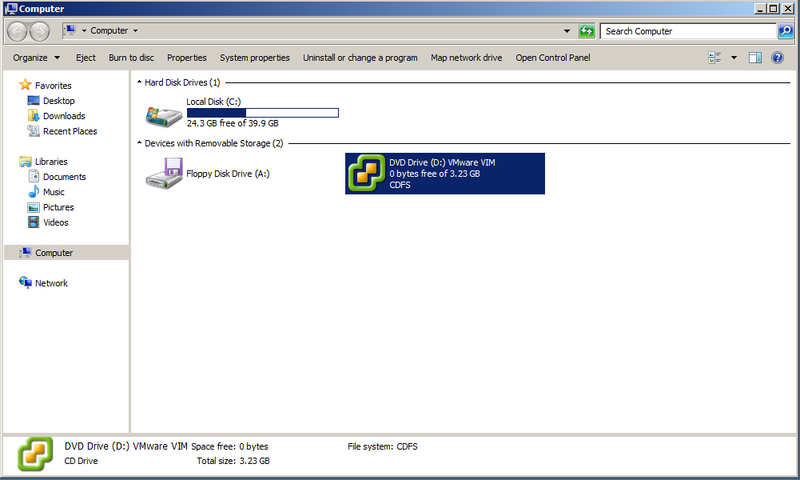 We can create a seperate server or also can use same virtual center server to store logs. Follow below steps to install Syslog Server. 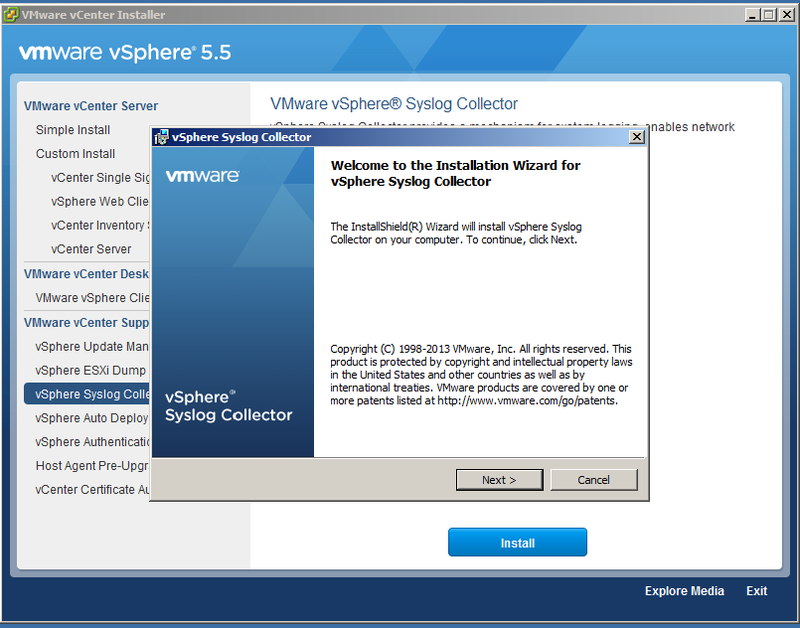 - Insert Virtual Center Installation Media Disk in Server where you want to install Syslog Collectory Server. - Browse or Autoplay Installation Media. 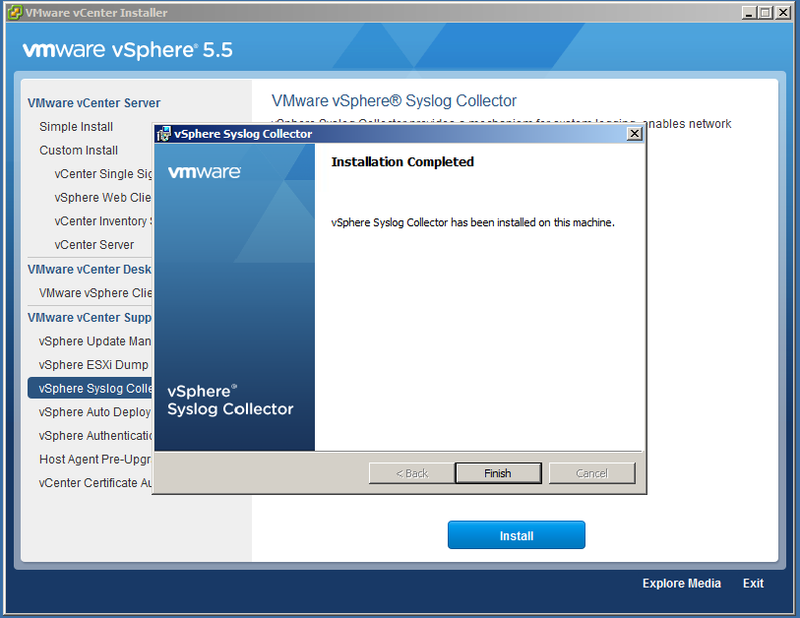 - Click on vSphere Syslog Collector to start installation. - Select Language as English. - It will start and execute installation. 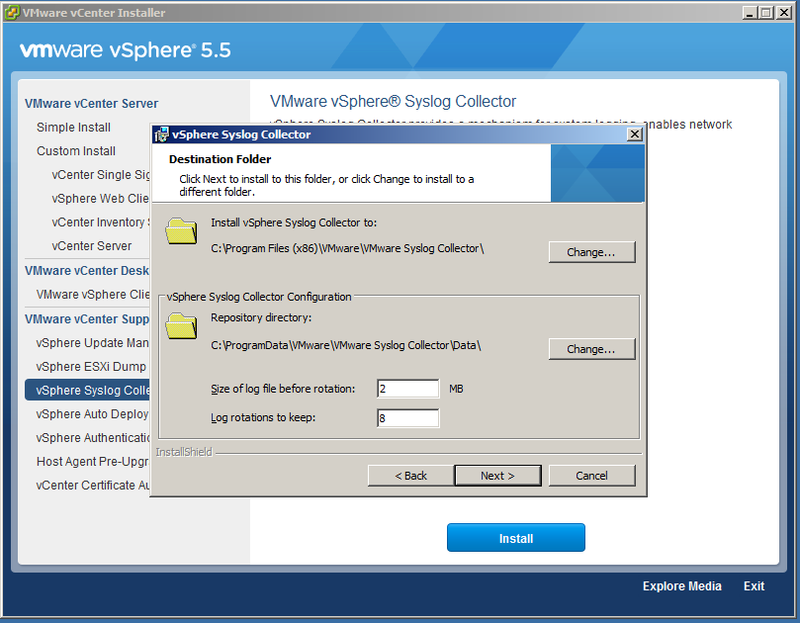 - Select Path for vSphere Syslog Collector Configuration. 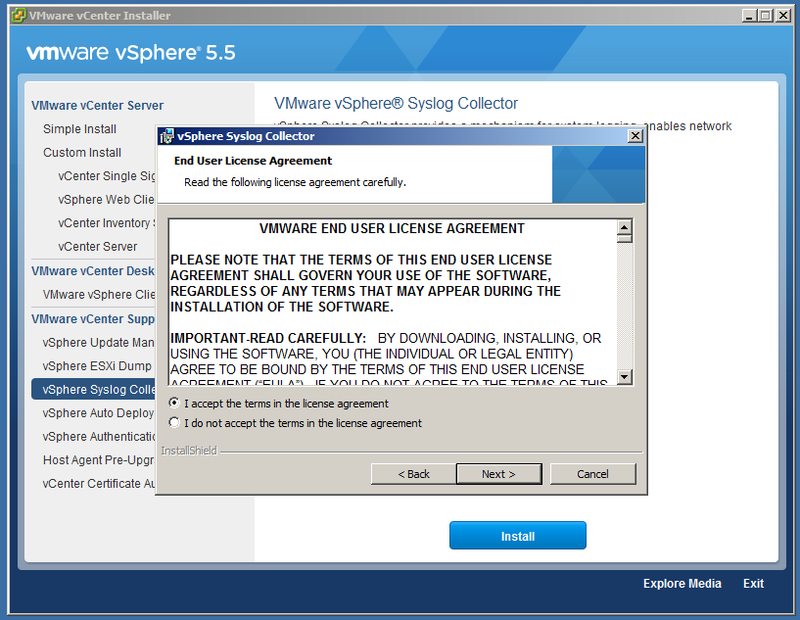 Default configuration path is "C:\ProgramData\VMware\VMware Syslog Collector\Data\".You may change it as per requirement. - Define Size of Log before Rotation. By default is 2 MB, it can be defined as per requirement. - Define Log Rotation to Keep. By default is 8, it can be change as per requirement. 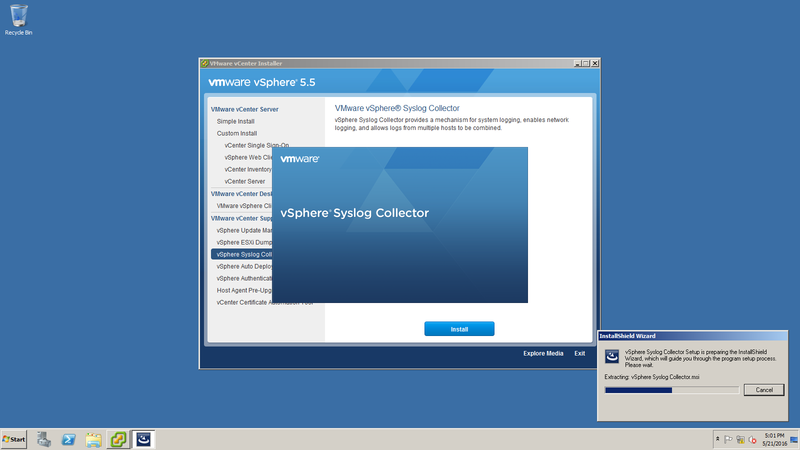 - Select Syslog Collector Installation Type. - Standalone Installation - It will be on different machine. - Define Syslog Collector Server and SSL Port. 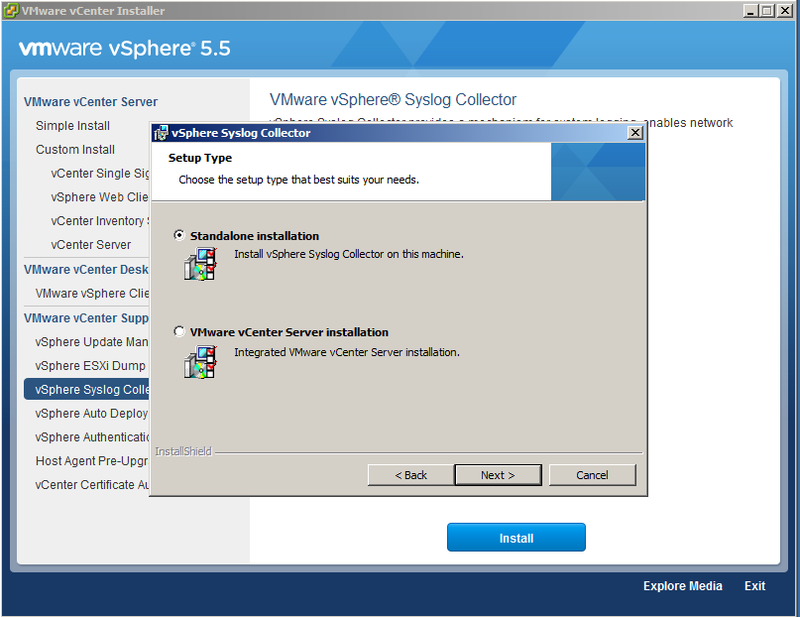 - If you are using Standalone Installation, select Virtual center server as shown below. - Installation is in Progress. - Click Finish to complete the installation. 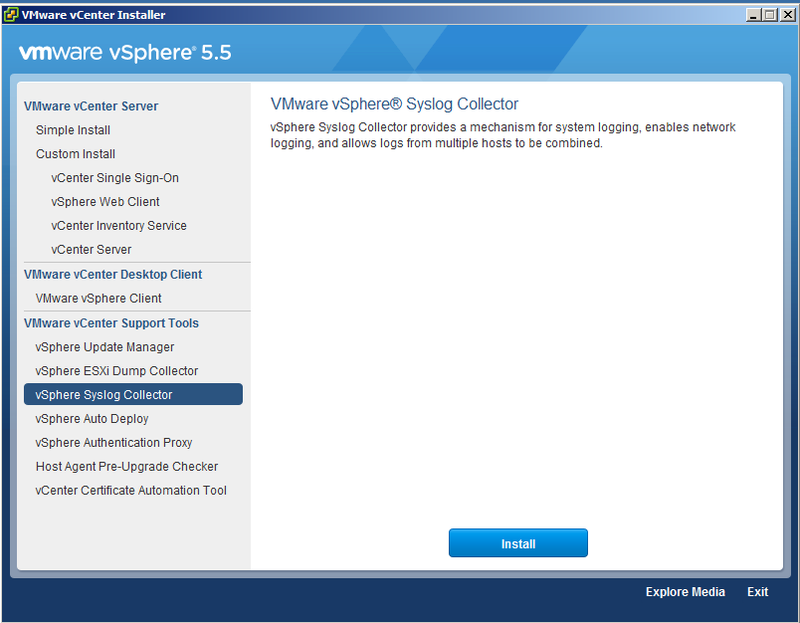 Syslog Collector server has been installed by following these Steps. 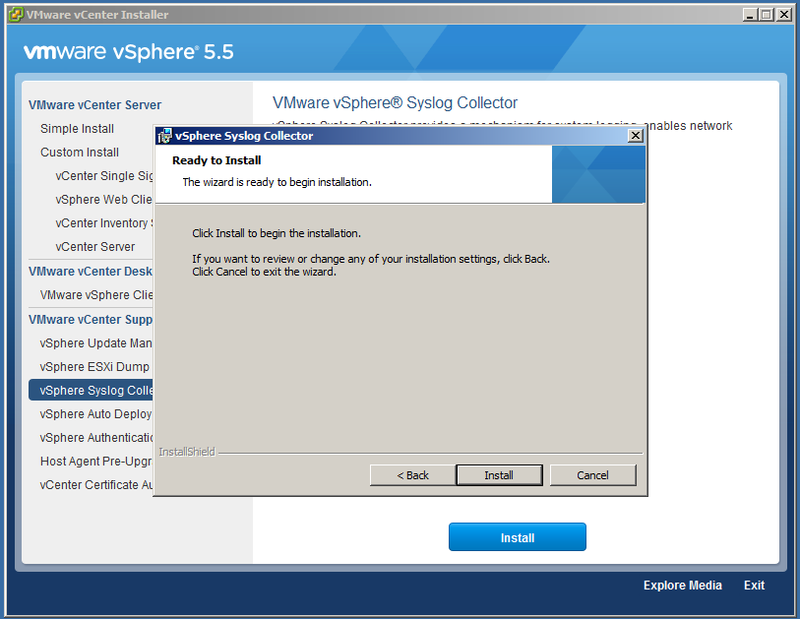 Now you may refer to Configuring ESXi Syslog to check how to configure ESXi to store logs on Syslog server.